Concrete cutting and drilling produces slurry. Slurry contains calcium carbonate, is a base with a high ph level, is detrimental to marine flora and fauna, and so it is illegal to dump it into sewers, storm water systems, or natural waterways. As such it is important that controls are in place. 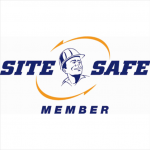 Sharp Concrete Cutters and Drillers Ltd provide a comprehensive slurry control service. Through the use of our truck, we can remove 2500 litres of slurry. The truck also holds 1000 litres of water and has a high-pressure water blasting unit. 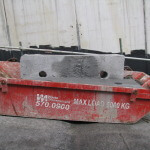 Our truck is also regularly used in aggregate exposing and acid washing applications. We also have a number of 600-litre tanks and are committed to leaving every job clean and tidy. Call us, Sharp Concrete Cutters and Drillers Ltd today to discuss how we can help you achieve your project goals. Freephone 0800 232 816. 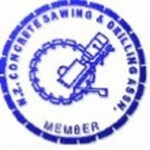 We are also members of the national concrete sawing and drilling associations.